Genuine Fender® American Deluxe / Ultra / Elite / Professional Strat® tremolo arm tension adjusting set screws. Set of two. 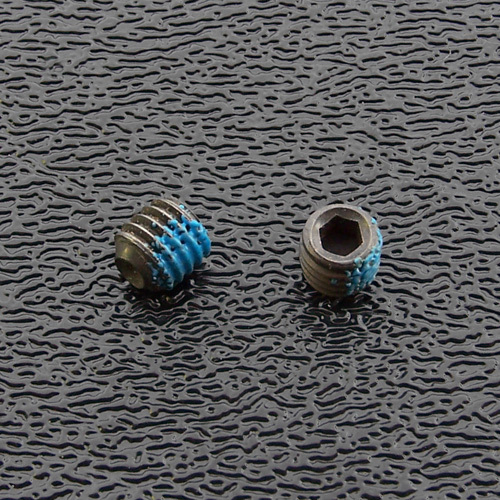 These two set screws provide pressure on the nylon bushing in the tremolo block which provides increased or decreased rotational friction of the tremolo arm and also with appropriate adjustment prevents loose of floppy tremolo arms. Each set screw has pre-installed self locking blue Teflon to keep screws from self loosening and falling out. Bulk packaged.